King double room in luxury 5* Hilton beach hotel in Hainan Island for €26/ $28 per person! Head to Hainan Island often branded as ‘Chinese Hawaii’ for your luxurious getaway! 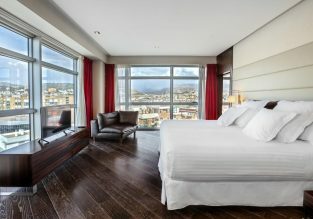 Book a stay at 5* Hilton Haikou Meilan for only €26/ £22/ $28/ AU$32 per person/night (based on booking of 2)! 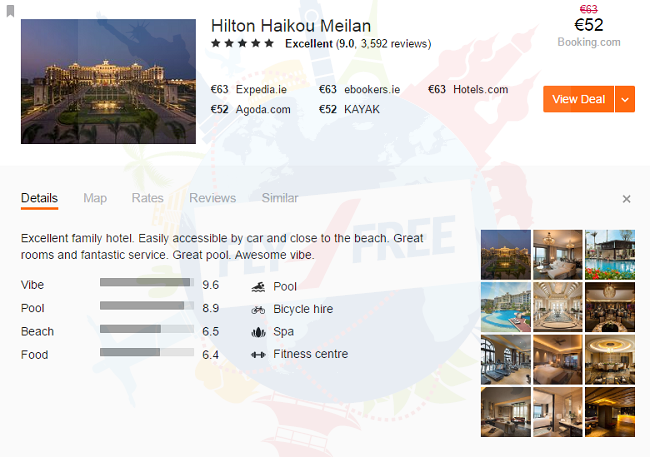 5* Hilton Haikou Meilan . Offering an outdoor pool and a restaurant, Hilton Haikou Meilan is located in the east coast of Haikou. Free WiFi access is available in this resort. The accommodation will provide you with a TV and air conditioning. There is also an electric kettle. Featuring a shower, private bathroom also comes with a bath and a hairdryer. Extras include a minibar. 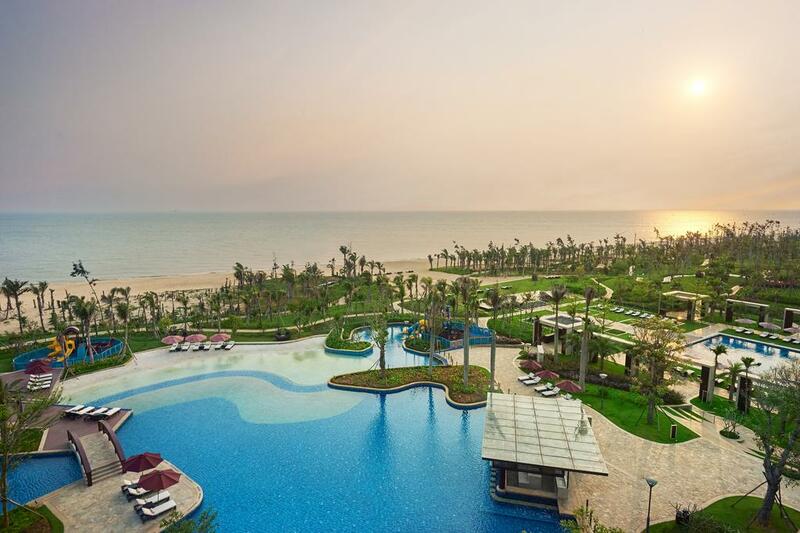 At Hilton Haikou Meilan you will find a private beach area and a fitness centre. Other facilities offered at the property include a games room, luggage storage and a children’s playground. The property offers free parking. Meilan Hilton Haikou is a 5-minute drive from Qiongzhou Bridge and an 8-minute drive from Haikou Gym Centre and Haikou Museum. Haikou Meilan Airport is a 25-minute drive away and Haikou High Speed Railway Station is a 35-minute drive away. The property offers free shuttle service to Haikou Meilan Airport and downtown Haikou. China Spice offers delicious Chinese cuisine. Other dining options include Plantation, Nodu, Coco Lobby Bar, Kren Pool Bar and Palm Terrace. Meilan is a great choice for travellers interested in shopping, city trips and friendly locals. SUMMER: Spain to Shanghai from only €295! Fly to ‘Chinese Hawaii’! 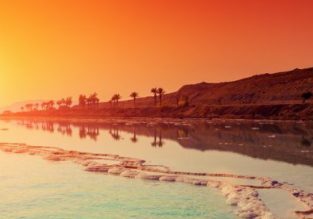 From Prague to Haikou, Hainan from just €328! Deal Alert! Minsk, Belarus to Beijing, China from only €238! 5* HAINAN: Summer Business Class from Prague to multiple Chinese cities from €979! 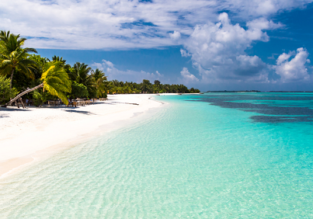 5* HAINAN: Non-stop from Prague to Beijing for only €366! 5* Hainan non-stop flights from Chicago to Beijing for $464! Boston to Shanghai & Beijing for just $433! Non-stop from Auckland to Chengdu, China for only NZ$458! HOT! Non-stop from Melbourne to Qingdao, China for AU$271! HOT! 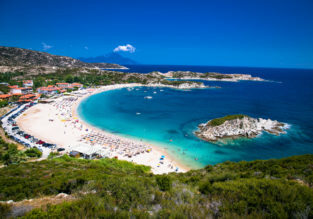 5* Hainan Airlines from Melbourne to Shenzhen for just AU$288! HOT! 5* Hainan non-stop from Melbourne and Sydney to China from AU$269! 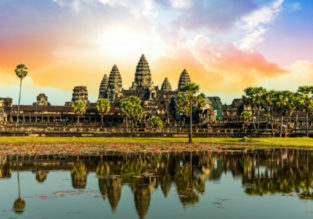 Kuala Lumpur to China from just $149!